Did you want to try second restaurant or did procrastinate for too long and now can’t get a reservation for the last night of restaurant week? 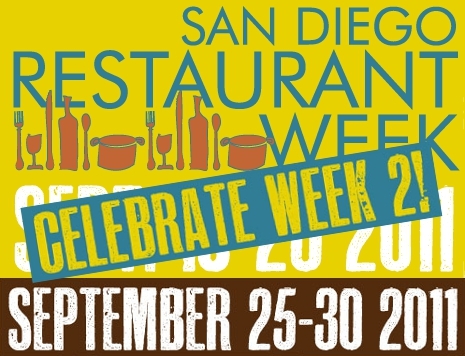 Well fear not, San Diego Restaurant Week has been extended for a second week running from September 25th to the 30th, 2011. Now you have no excuse. If you can’t decide, you can see all of our previous suggestions here, here, and here. This entry was posted in Attractions, Culinary, San Diego Events and tagged county, diego, dining, food, restaurant, san, week by Brent Bernasconi. Bookmark the permalink.